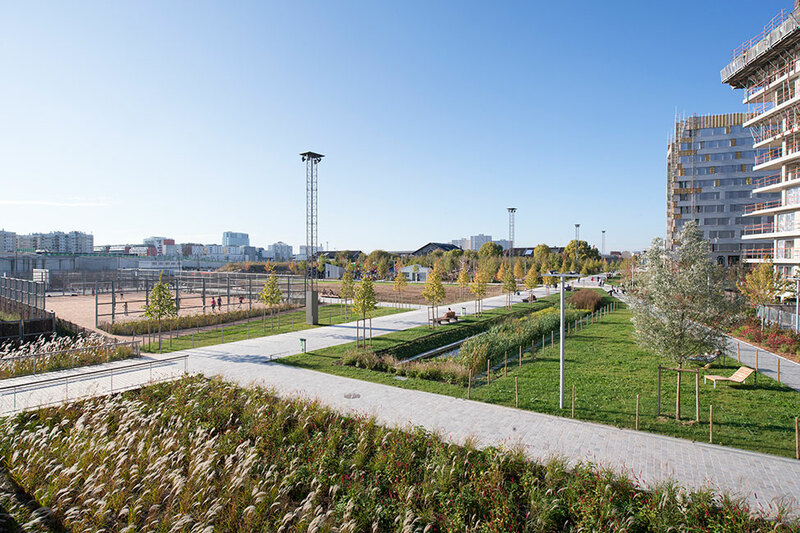 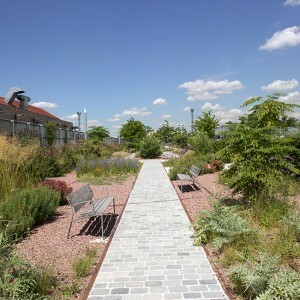 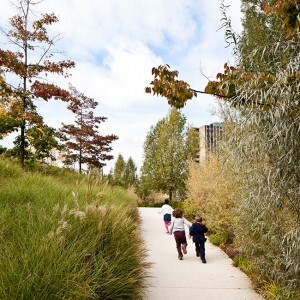 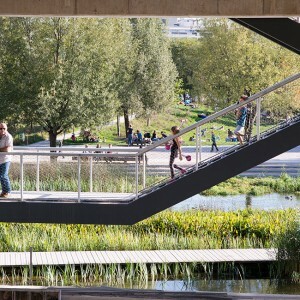 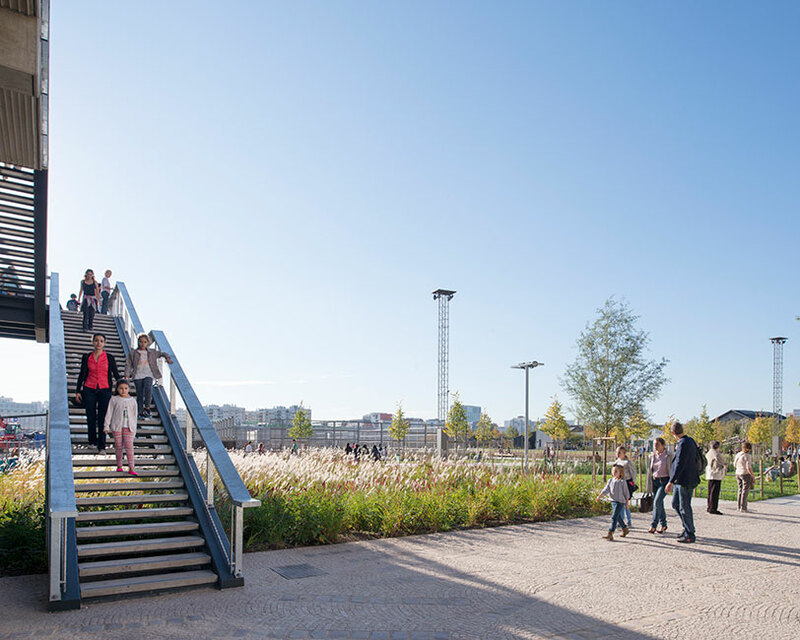 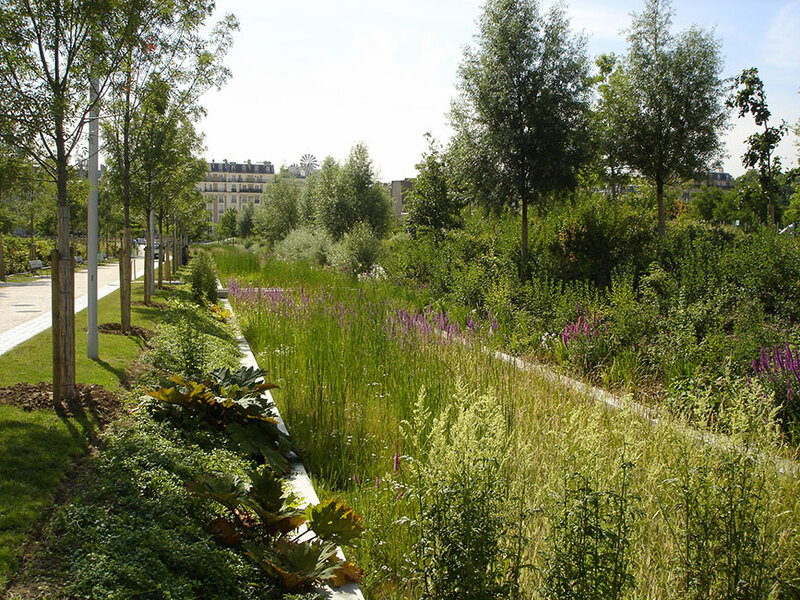 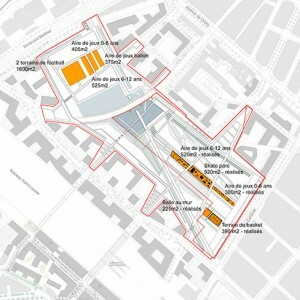 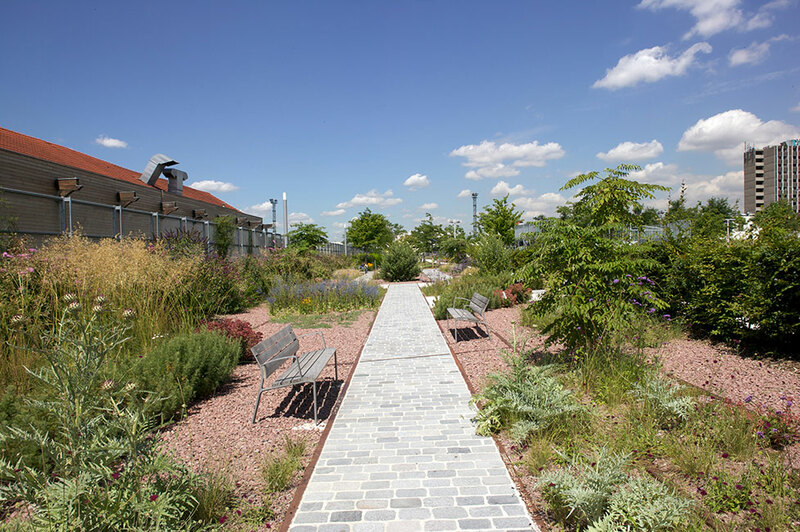 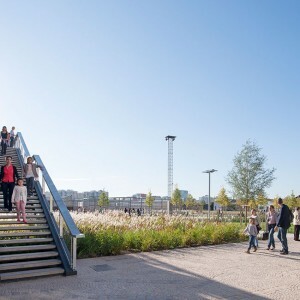 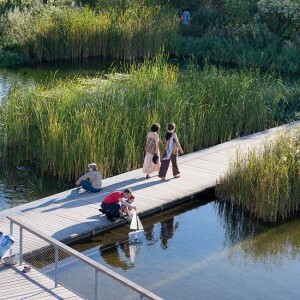 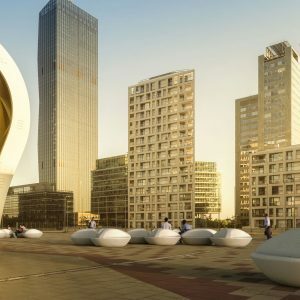 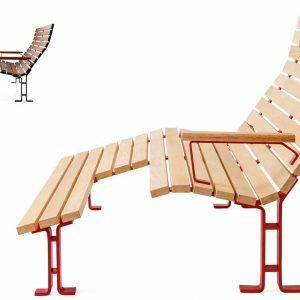 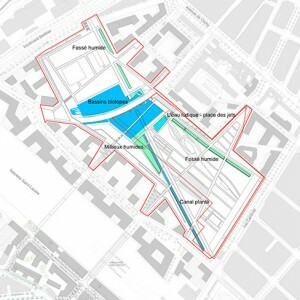 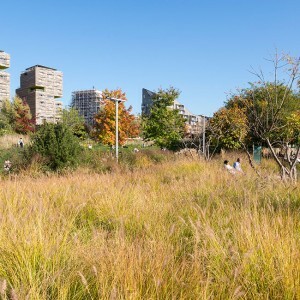 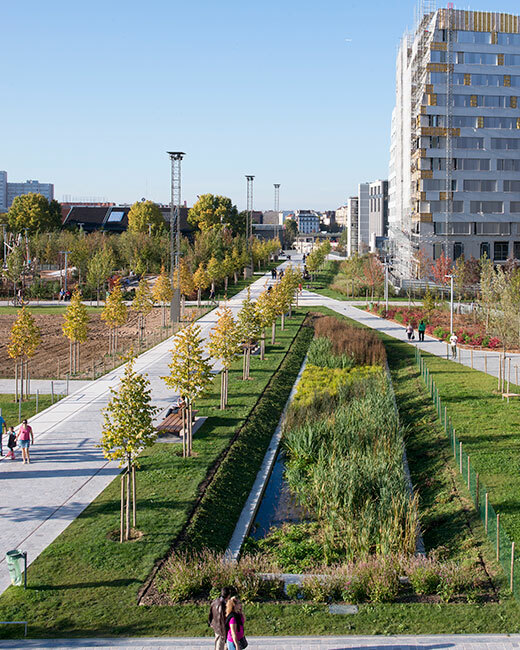 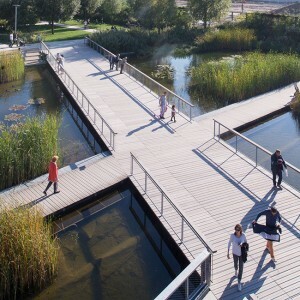 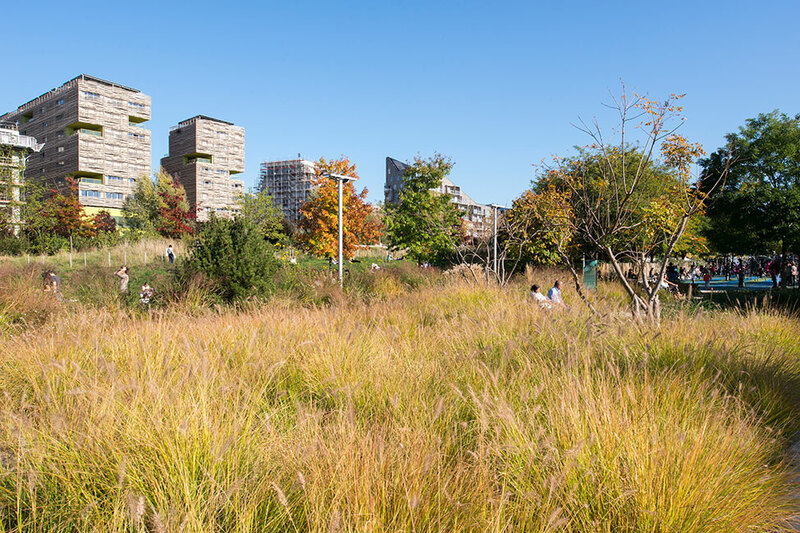 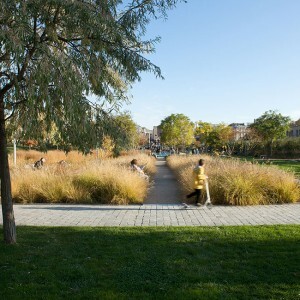 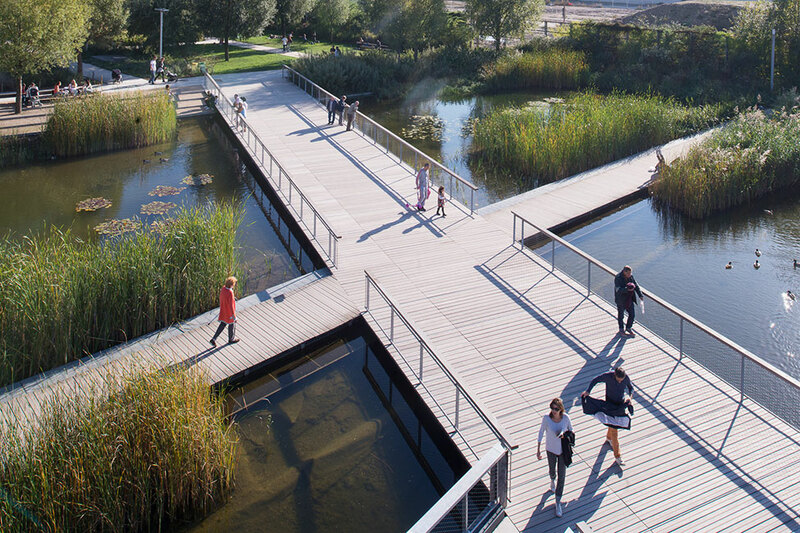 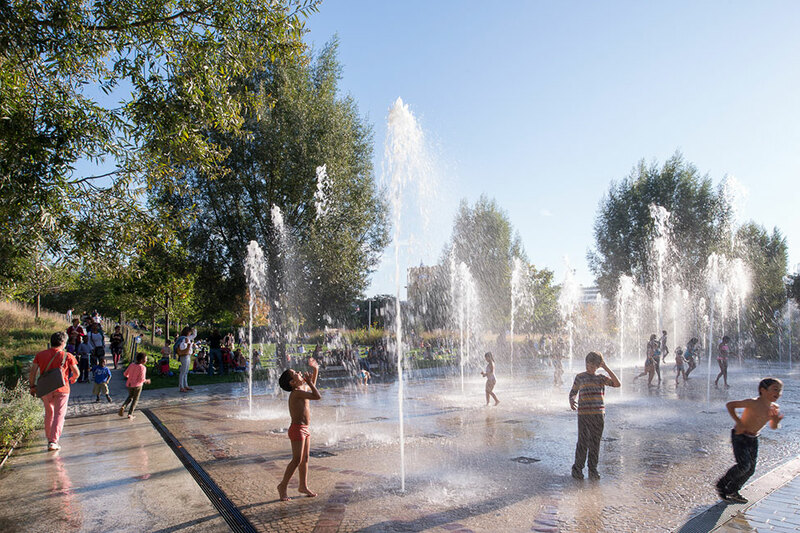 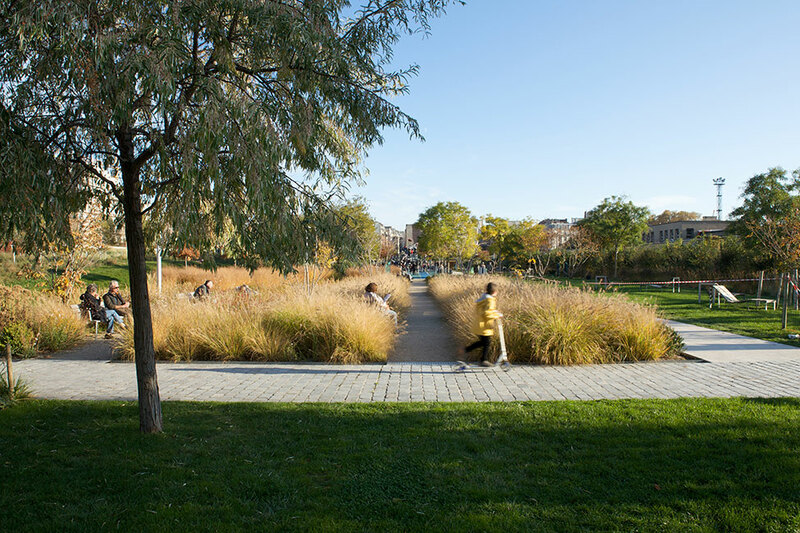 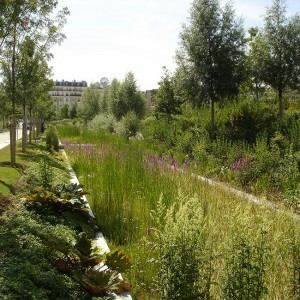 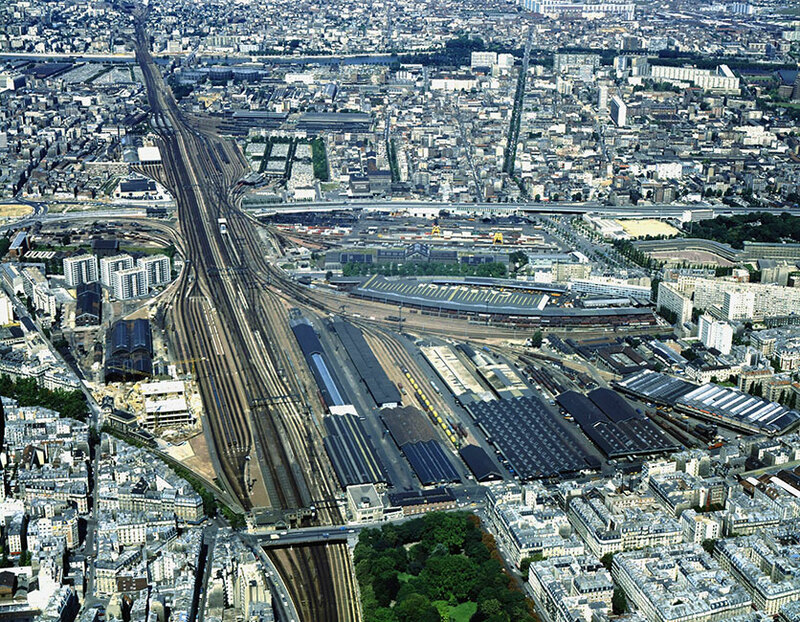 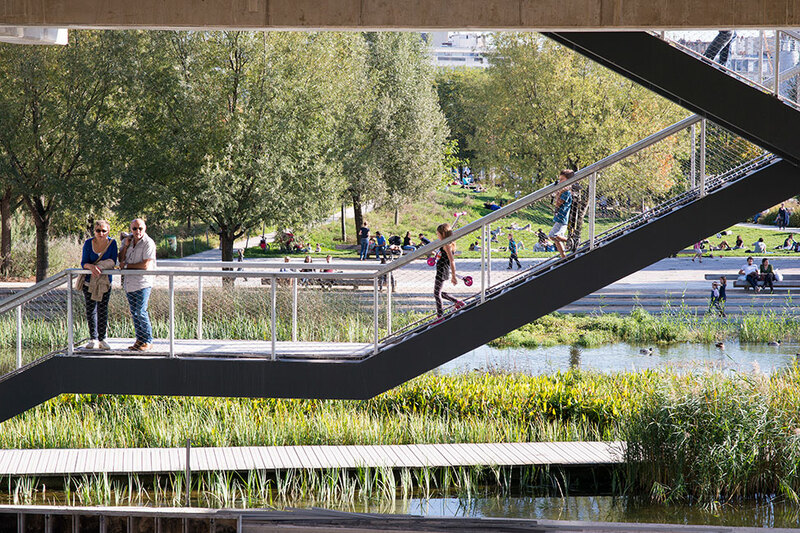 Text by Atelier Jacqueline Osty & associes: In 2003 the City of Paris launched a tender for the Clichy Batignolles area for which the team of François Grether, town planner, Jacqueline Osty, landscape architect and OGI engineer firm, was selected. 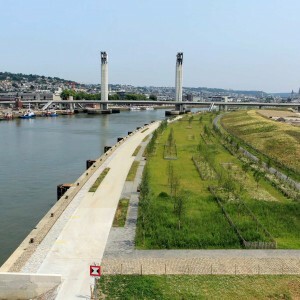 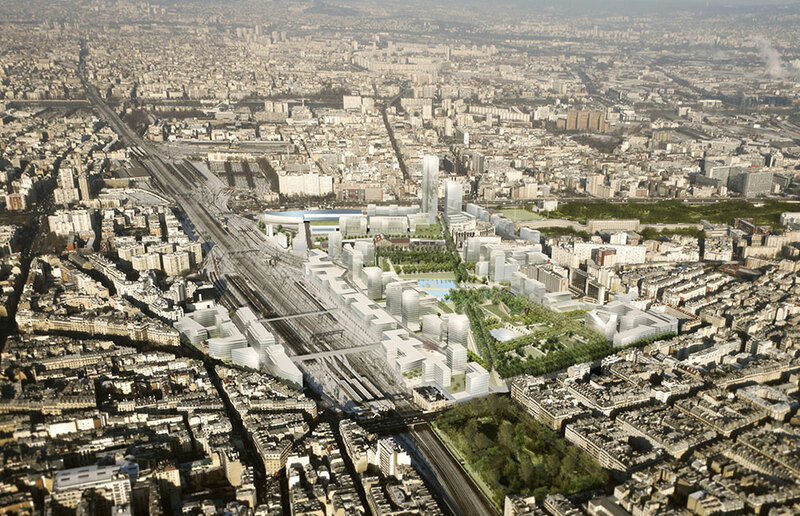 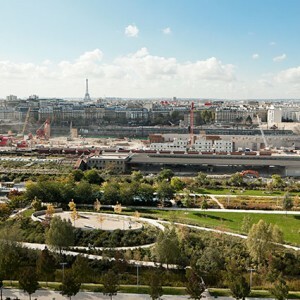 During the definition phase, the site was chosen to host the Olympic Village as part of Paris bid for 2012 Olympics. 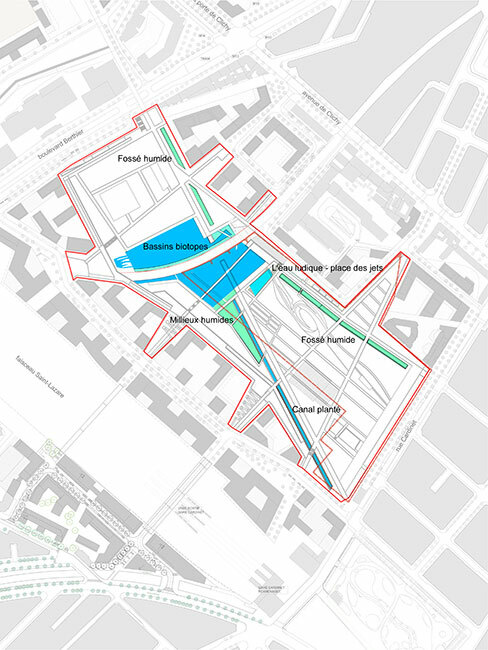 The project of the future neighborhood kept most of the main structural lines. 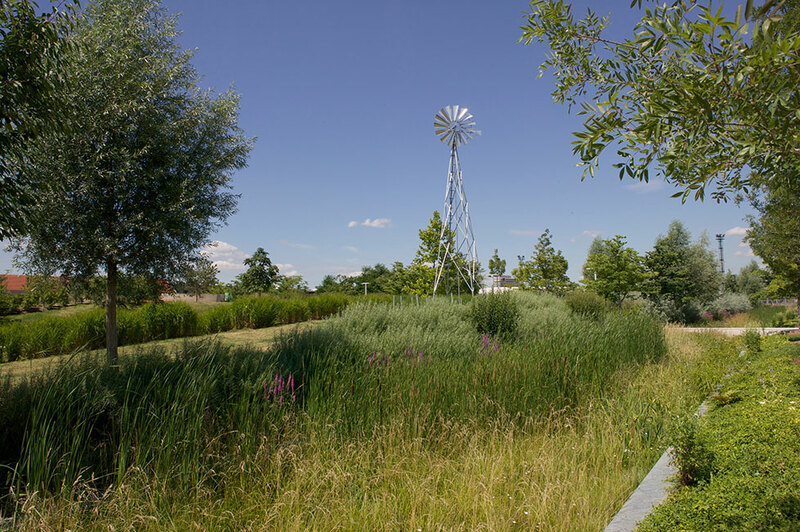 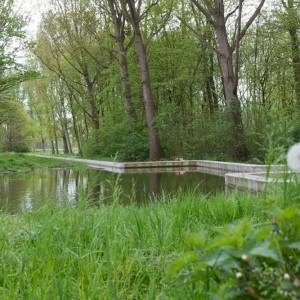 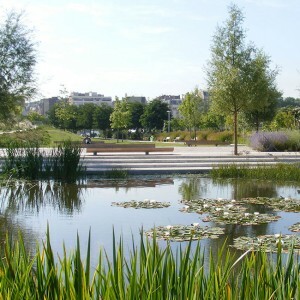 The entire urban sector covers 45 hectares, including a 10 hectare park. 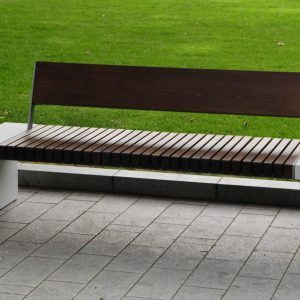 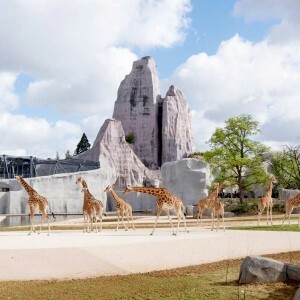 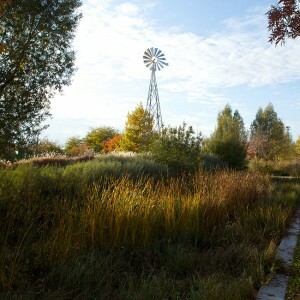 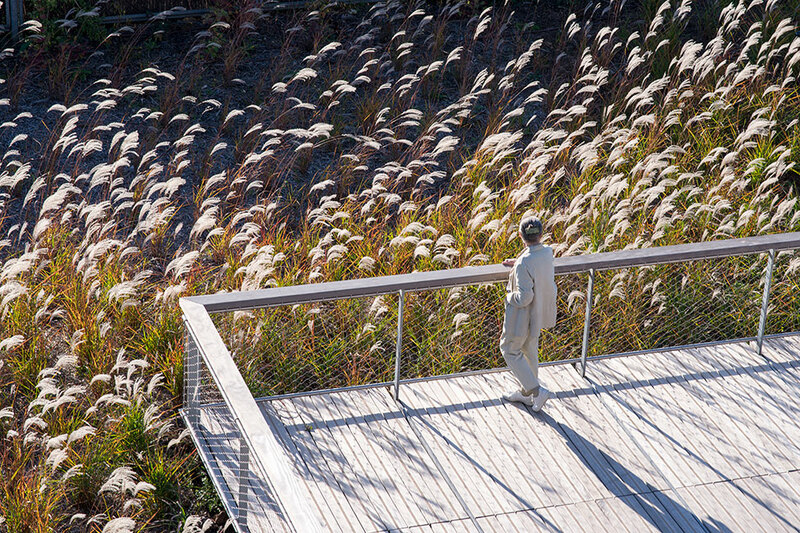 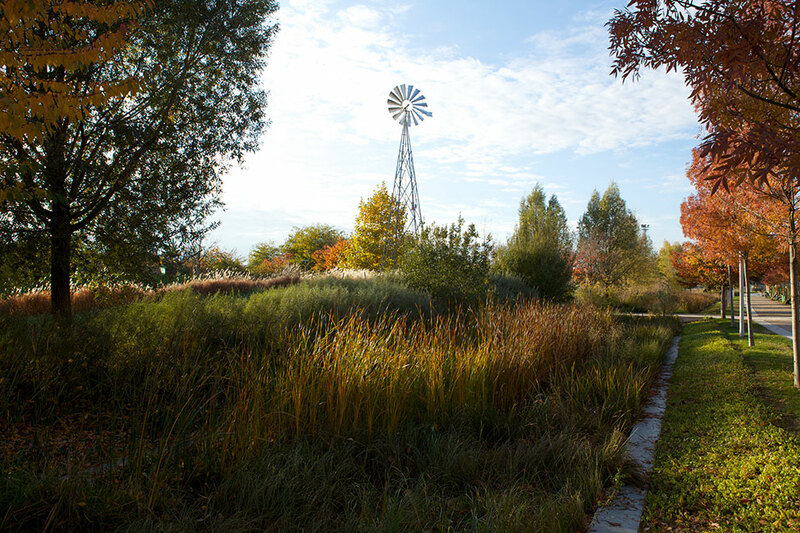 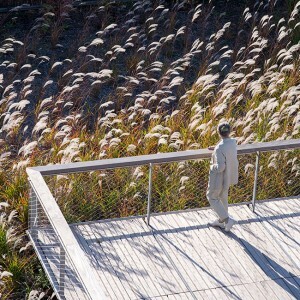 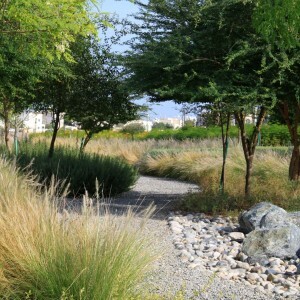 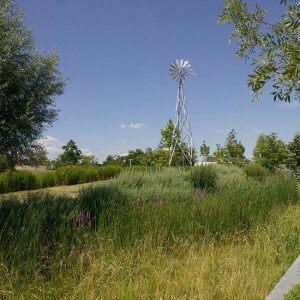 The 1st phase involves the development of 4.3 hectares of the park delivered in 2007. 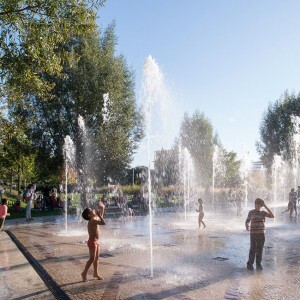 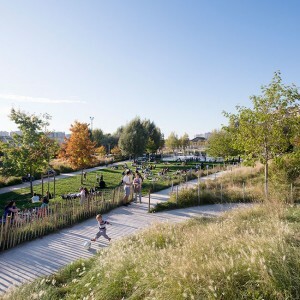 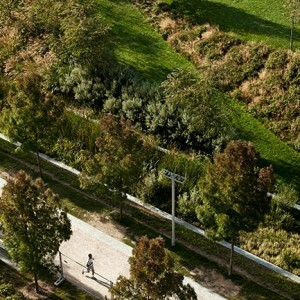 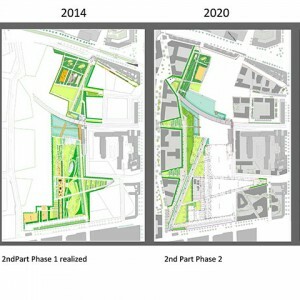 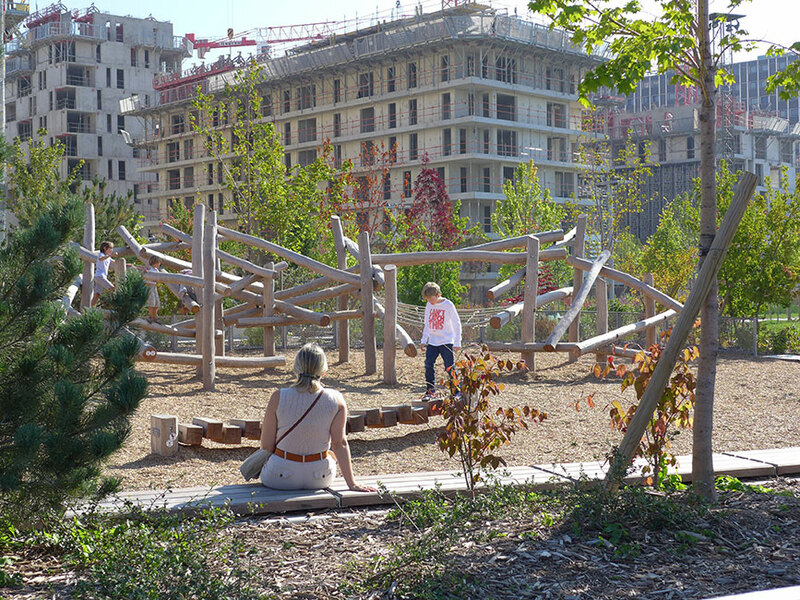 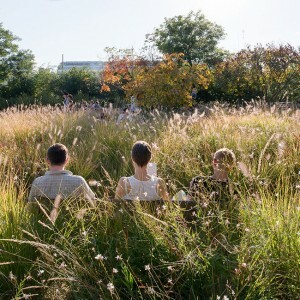 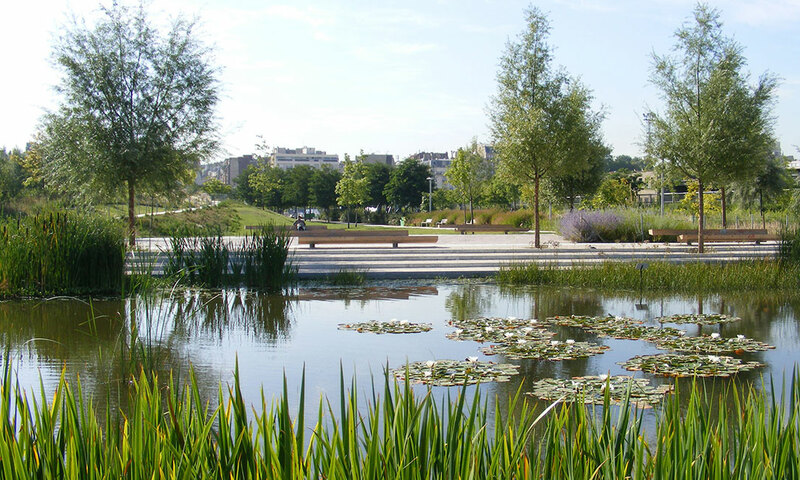 Founder of a new district, the Parc des Batignolles fits into the future urban form. 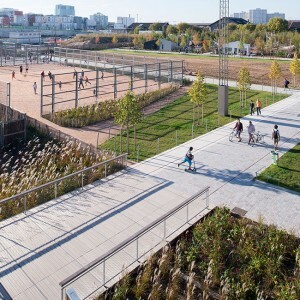 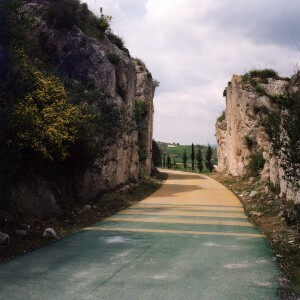 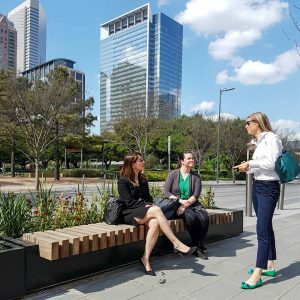 Its routes extend the city by connecting neighborhoods and existing green spaces. 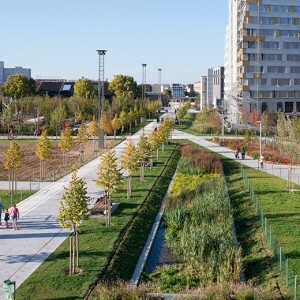 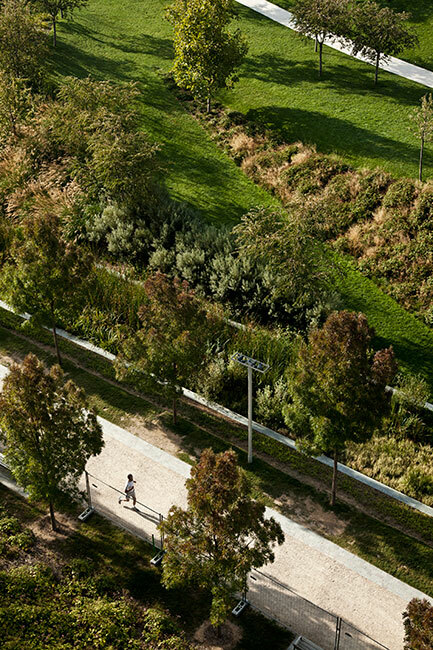 The urban roads north-south and east-west extend in the park in the form of planted promenades. 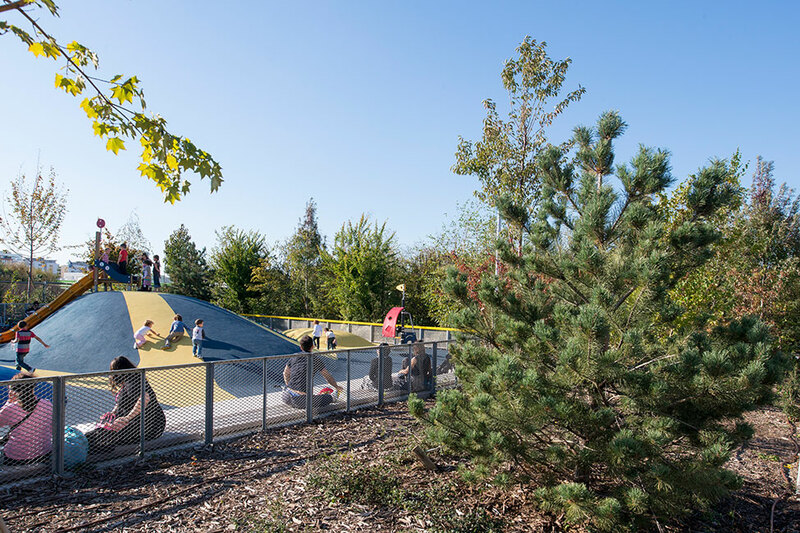 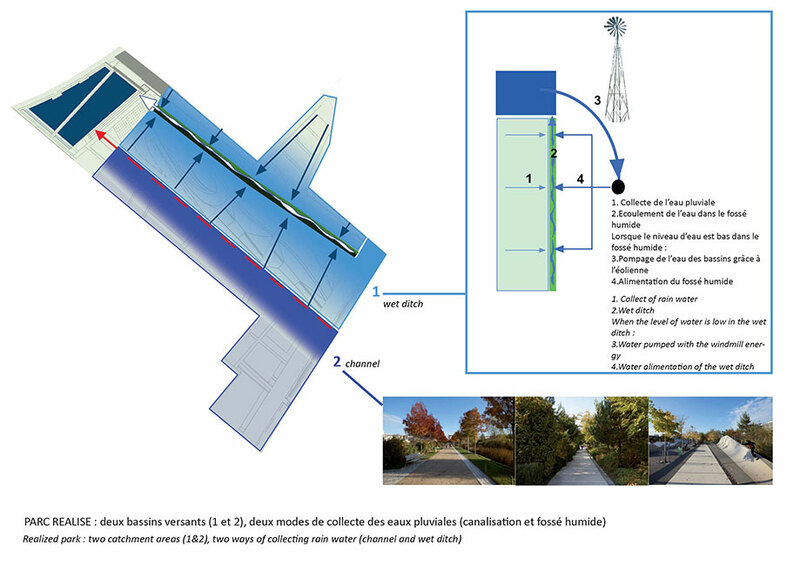 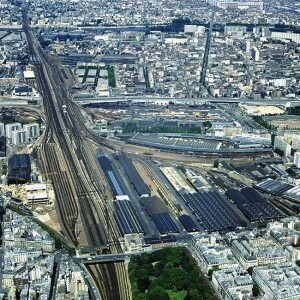 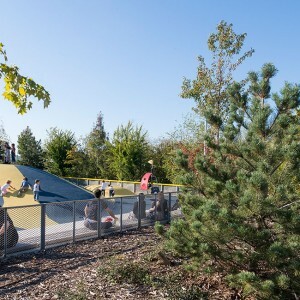 Built on a railway platform, the park keeps the overall initial horizontal topography except on the west side where terraces and ramps will integrate the level adjustment required to cross the St-Lazare railway network. 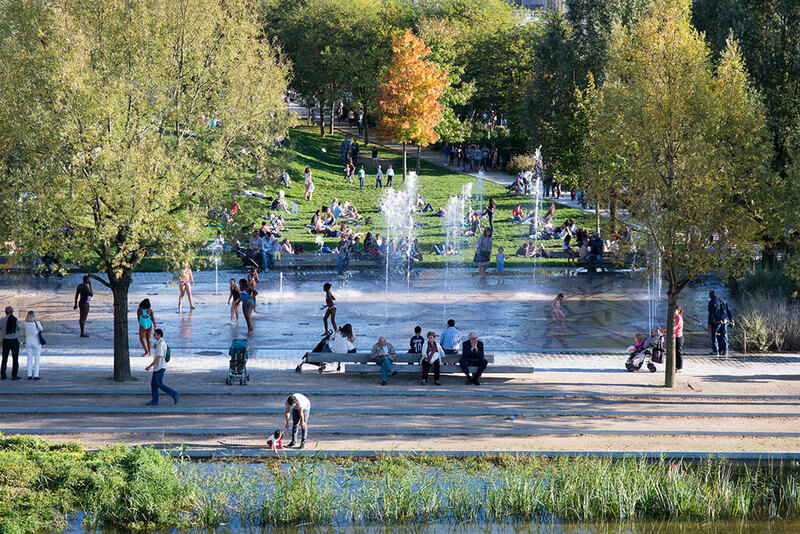 In the center, the park stretches on both sides of a water piece that isolates and stages the parisian inner railway ring preserved. 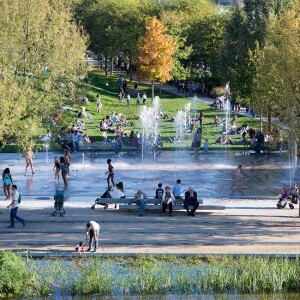 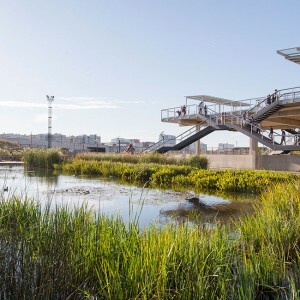 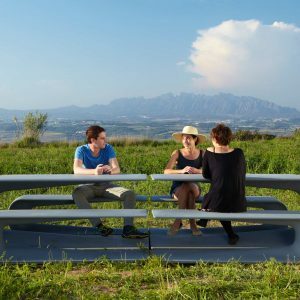 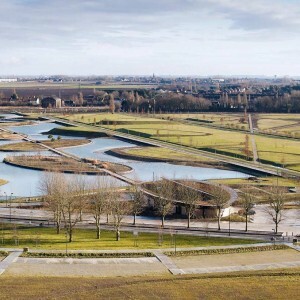 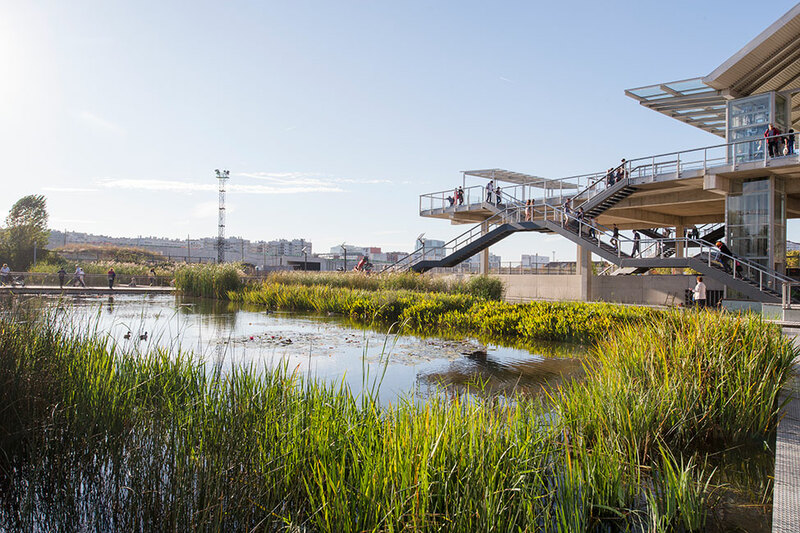 The first phase of the park declines the themes developed throughout the park : the theme of the seasons, the theme of waterand the theme of the body: sport aesthetic and recreational uses. 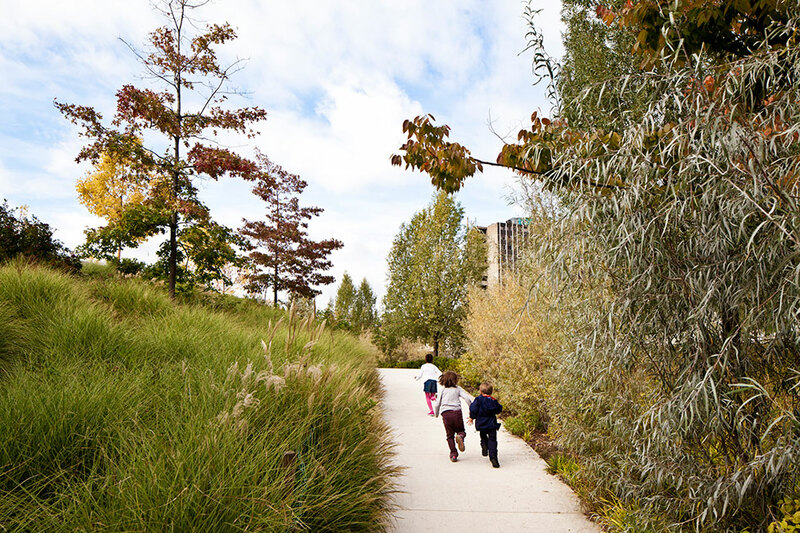 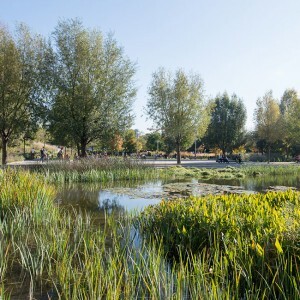 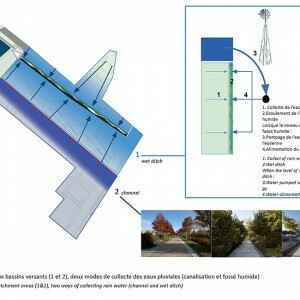 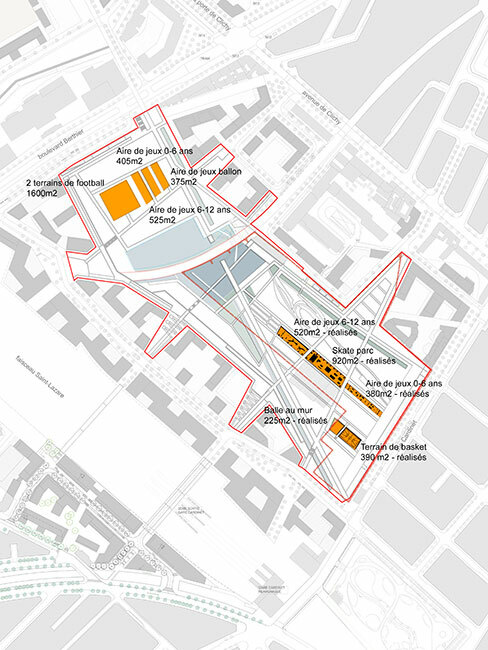 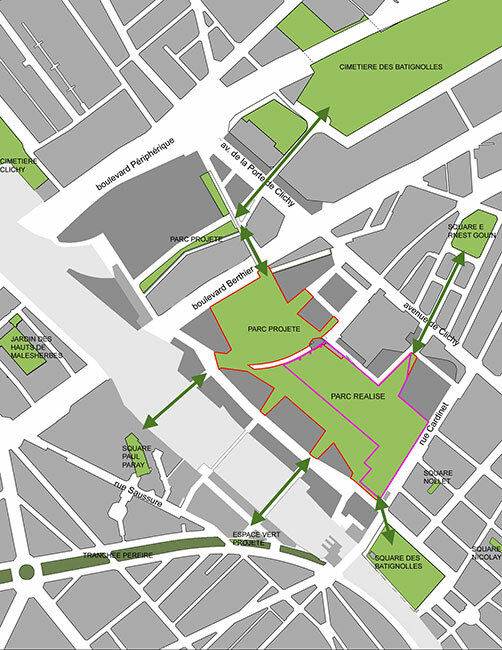 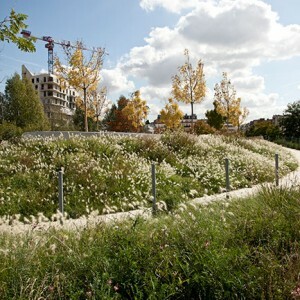 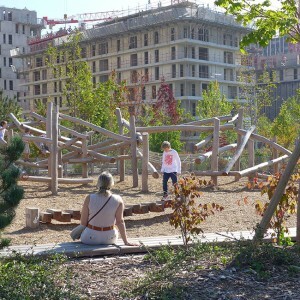 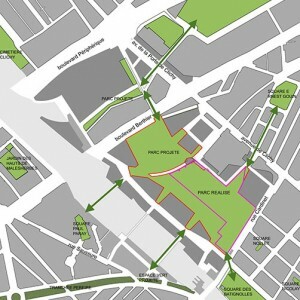 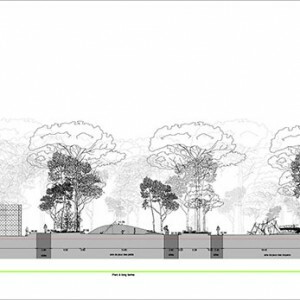 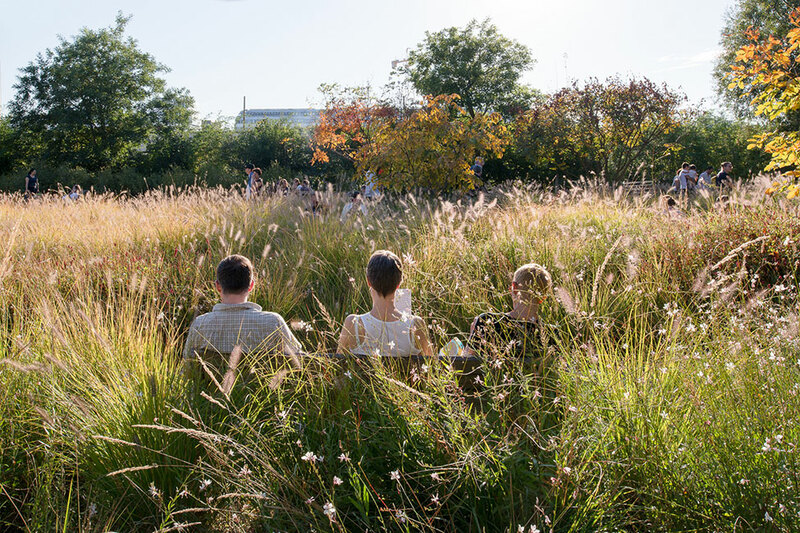 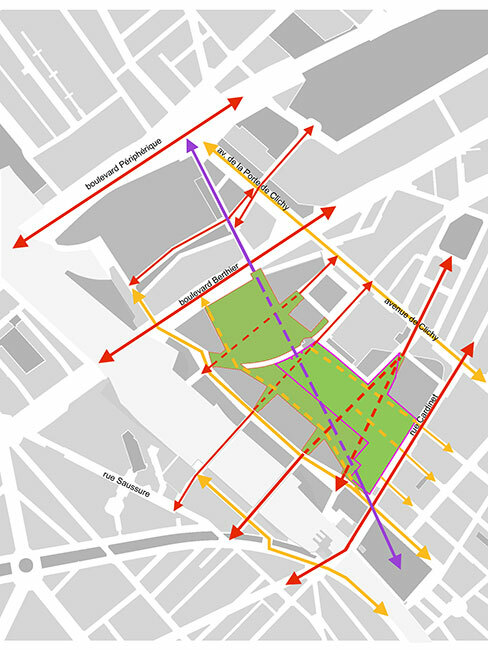 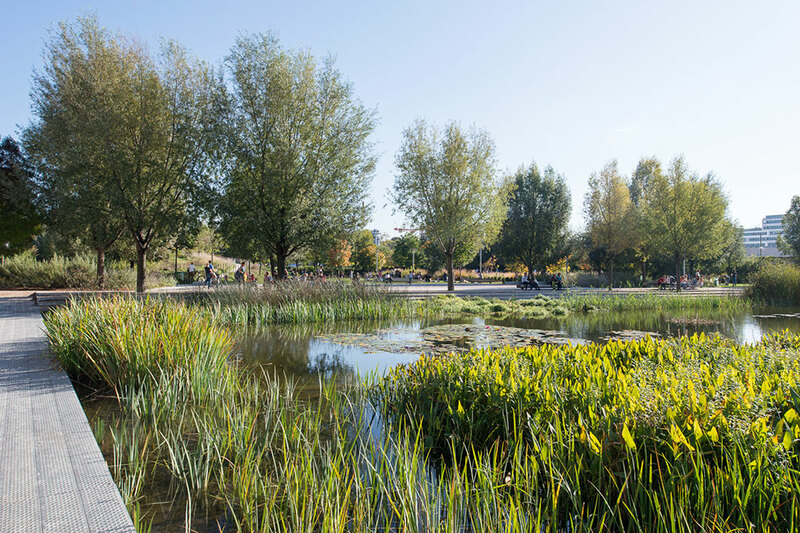 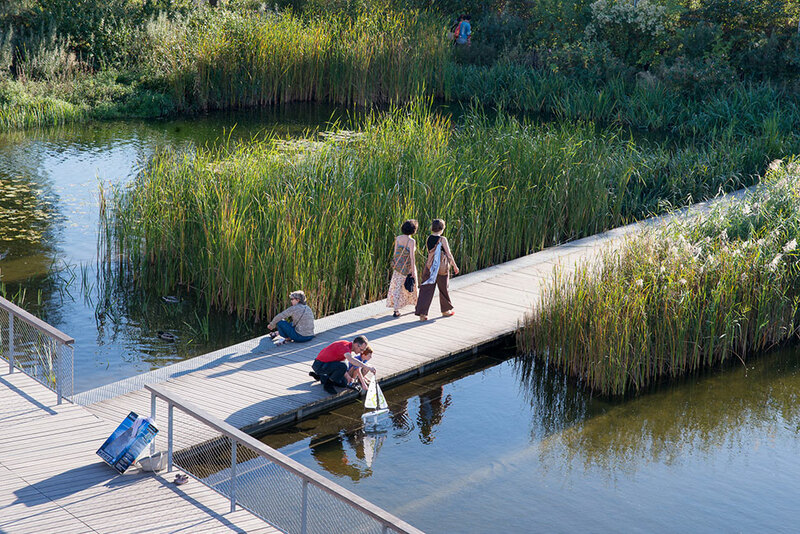 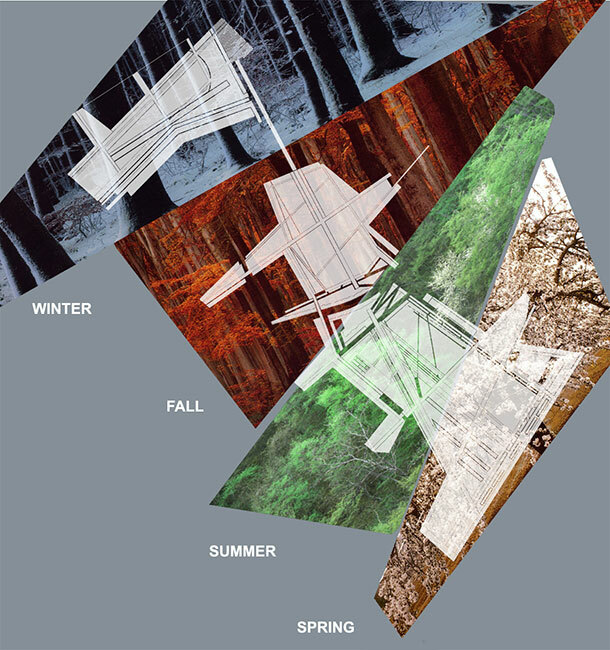 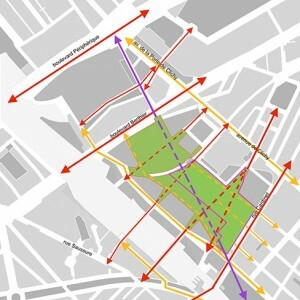 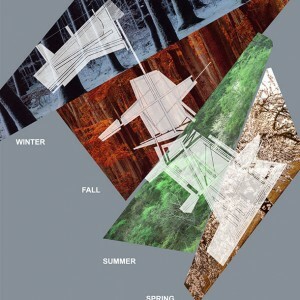 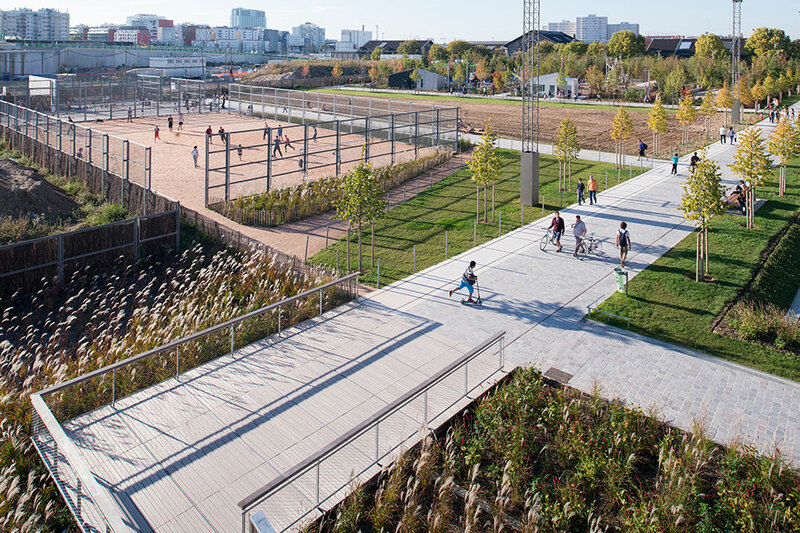 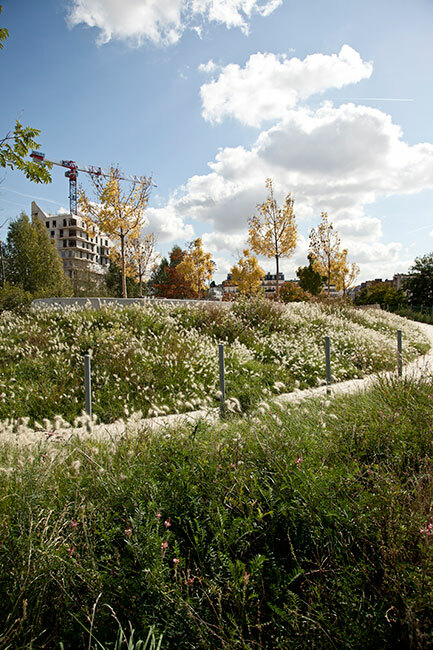 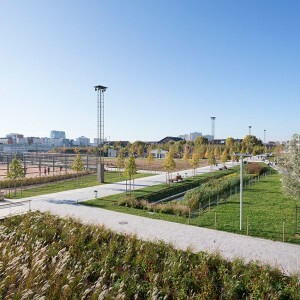 Programme: design of an urban park in the Clichy-Batignolles district of Paris.